Colon cleansing is important for overall health, and according to the natural health proponent and best-selling author Kevin Trudeau, one needs to have two to three bowel movements daily to avoid many diseases. Food that does not properly digest moves too slowly through the system and gets stuck in the intestines, leading to rancid stools that release toxins into the bloodstream. 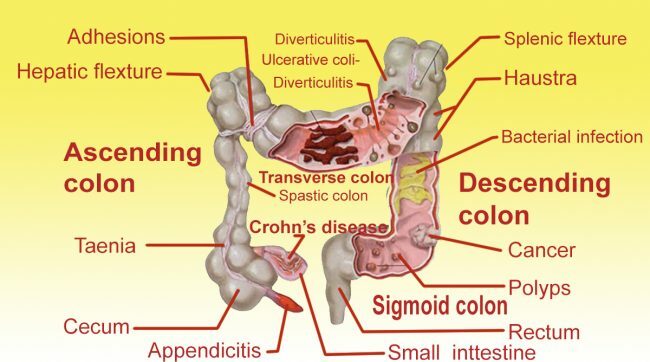 Therefore, by cleaning the colon, one decreases the risk of colorectal cancer, irritable bowel syndrome, constipation, and chronic diarrhea. Chiropractor and acupuncturist Dr. Ben Kim recommends the consumption of enough food at meals as a way to stimulate the stretch receptors in the stomach which trigger intestinal waves to move chunks of waste along together. When stools pass easily through the intestines, they are well formed and can be eliminated faster.